The beef gets to hang out in the slow cooker all day, soaking in all the amazing flavors. Then you shred up the beef with the peppers and onions…serve it on a bun with some cheese. Drool. DROOL. Seed and slice the green and red bell peppers. Slice the onion. Place the beef roast in the base of the slow cooker and season with salt and pepper. Add the tomato sauce, sliced green and red bell peppers, sliced onions, pepperoncini peppers and Ranch dressing mix. Once cooked, shred the meat and veggies with 2 forks and combine with the sauce. 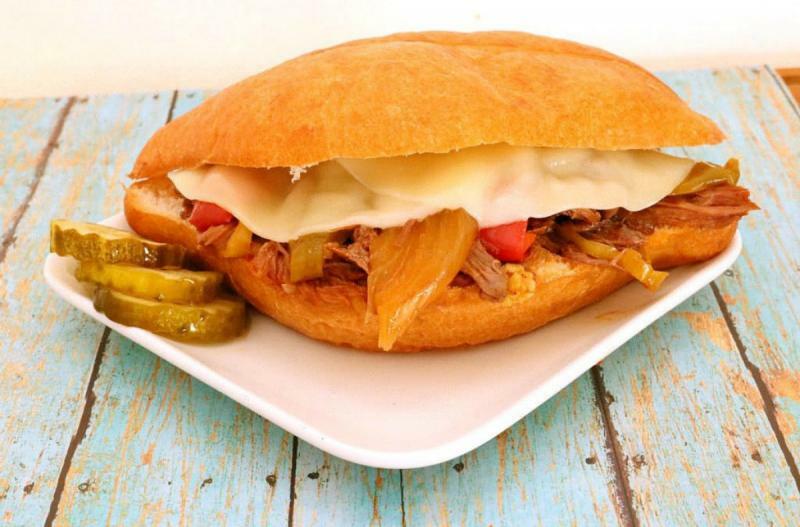 Spoon the shredded beef onto the bolillo or hoagie rolls. Add slice of cheese on top and microwave to melt, if needed. Serve Slow Cooker Italian Beef Sandwiches with side salad. Seed and slice 2 green and 2 red bell peppers. Slice 2 small white onions. Recipe is gluten-free when served over rice in place of hoagie buns. Thaw and slow cook on low for 8 hours. Once cooked, shred the meat and veggies with fork. 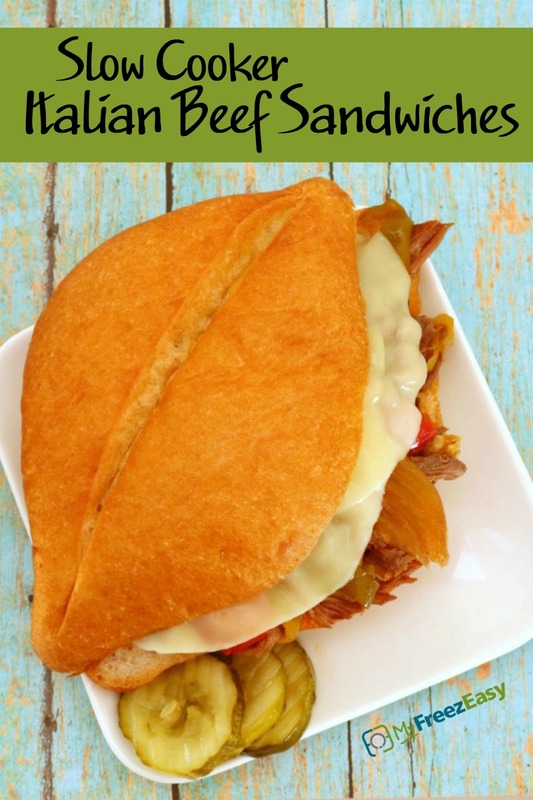 Spoon shredded beef onto bolillo or hoagie rolls and top with slice of Provolone cheese.